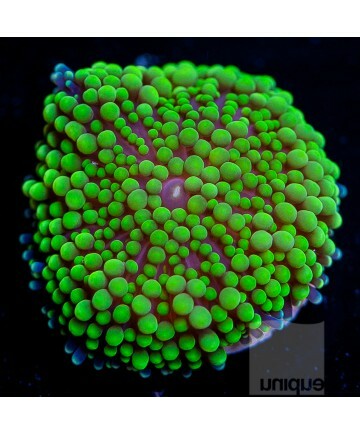 An excellent choice for color diversity as Ricordea have several different color morphs and are not difficult to keep provided proper acclimation is provided. The color is further intensified with the use of Orphek LED Pendants. Ricordea will adapt to Orphek LED lighting with a photo acclimation period. With proper care, these corals rapidly multiply by longitudinal fission. Lighting: Moderate. Best to place on the bottom of the aquarium until it has acclimated to Orphek LED Lighting. Feeding: The zooxanthellae algae hosting within provides the majority of its nutritional requirements through photosynthesis. It also consumes plankton and smaller crustaceans. Supplements: Iodine and trace elements. 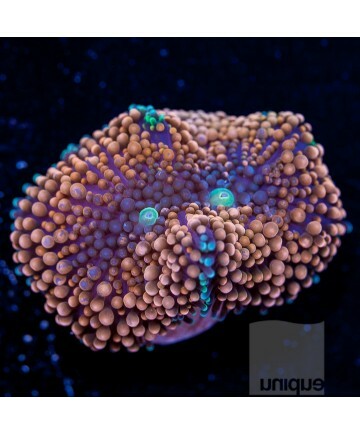 Compatibility with other corals: Moderately aggressive, do not place near other corals.